Holiday seasons mean many things to people. For us, we have a quiet Christmas with a few family members staying. It's nice to be together, and we make no demands on each other! I hope whatever your celebration is, you enjoy it in the way you'd most like, and enable others to enjoy theirs too. If you're still stuck for gifts, our books are widely available, and if you buy the paperbacks you can often get the ebook free when buying through Amazon. You can also easily gift ebooks in a format to suit every eReader, even if you don't know what the recipient uses, if you go from our Smashwords pages. Click one of the links in the sidebar and scroll down to the 'also by this publisher' for more options. 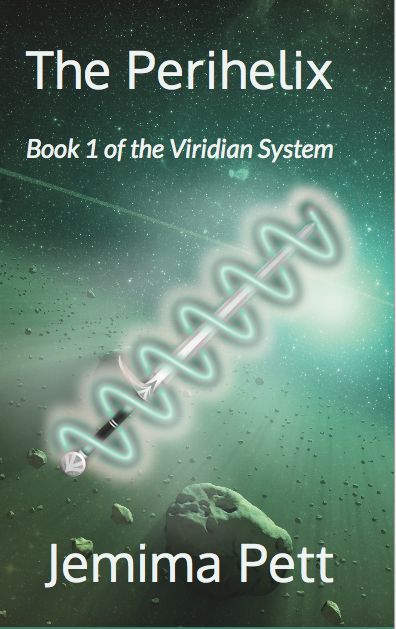 Jemima has finished the first re-edit of The Perihelix, book 1 of the Viridian System series, and is now addressing some further improvements she wants to make. We're currently looking at a February release date. The three book websites, Princelings, Viridian System, and White Water Landings, all have Christmas posts with stories relating to Yuletide or Christmas in their various universes. They release on Monday, 21st December, between midnight and 9 am UT. Jemima's blog post that day has links direct to the articles. Jemima is also running a Midwinter's Eve Giveaway from the 20th, part of a blog hop arranged by Bookhounds. Entries close at the stroke of New Year's Day in Times Square - good luck!